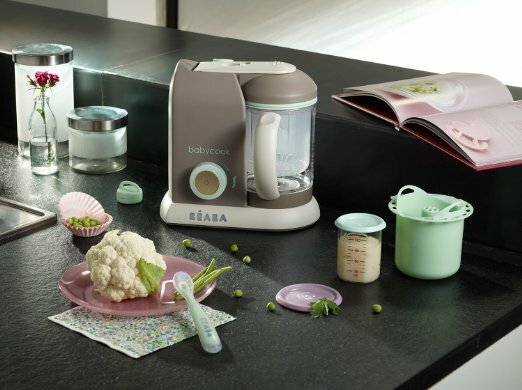 The BEABA Babycook Pro is available in 3 different colours – Latte Mint, Gipsy and classic Sorbet. Note that there is a slight price variation in the different colours, though the price different is not substantial to cast any effect on your selection. The Pro is designed in France and is an improved version of the much-loved Babycook Classic – the very first model in the Babycook line. As with all models across this line, the Pro is a 4-in-1 baby food maker that incorporates blend, steam, defrost and reheat functions. The smart design enables you to operate the appliance with one-hand and alerts you when food is ready. 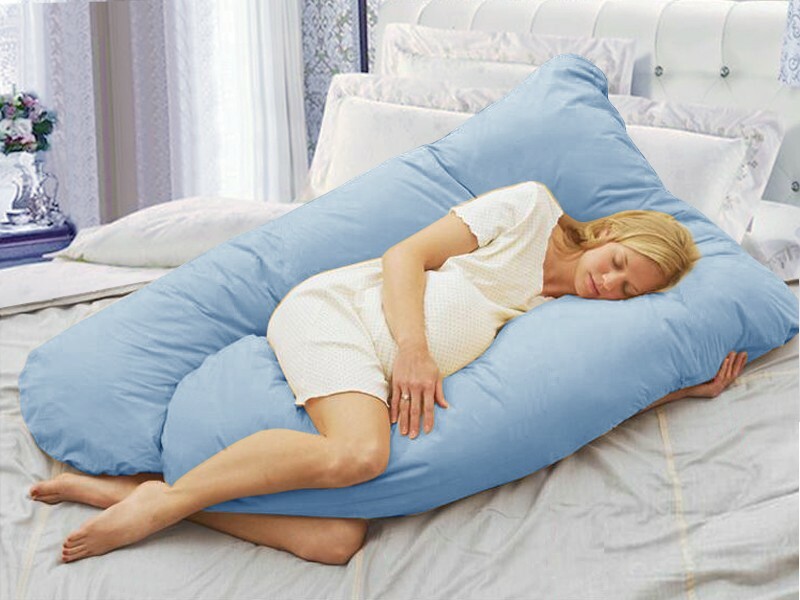 It also comes with an auto shut-off safety feature. 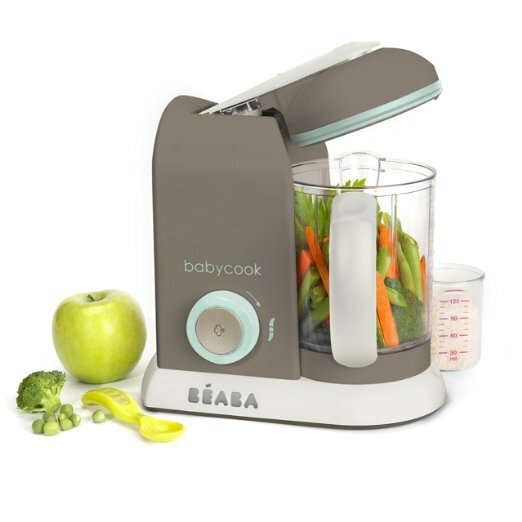 The 4.7cups/1.1L capacity allows you to make 17+ servings of baby food at once in less than 15 minutes. Yes, from raw to cooked and pureed. You can make any stage of baby food with the Pro and the list does not stop there. The large capacity also means you can make soups, purees, steamed vegetables, apple sauce and more for the rest of the family. 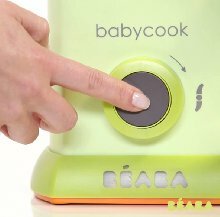 Any extra can just be refrigerated or frozen, and when needed, simply defrost and reheat right back in the Babycook Pro. 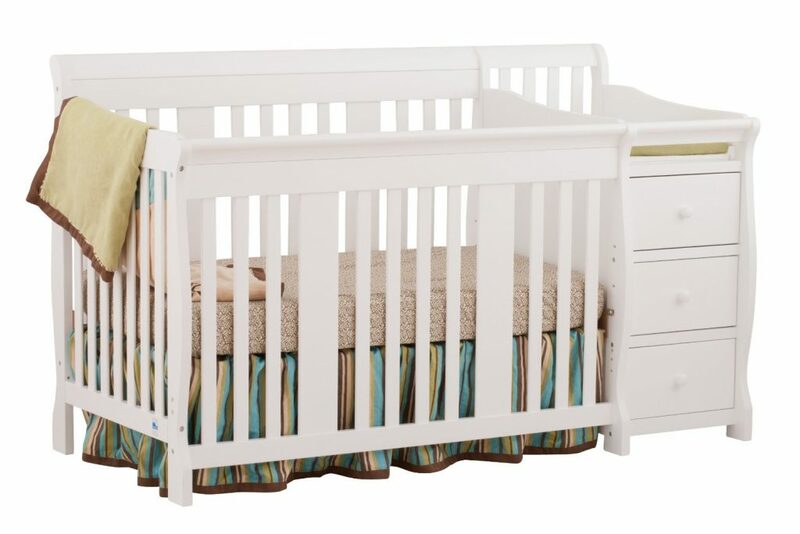 The patented steam heating system ensures all vitamins and nutrients are locked in. With the steam basket separating food from steaming liquid, and a multi-purpose mixing blade providing just the right texture, you can create not just healthy but delicious food with this appliance. 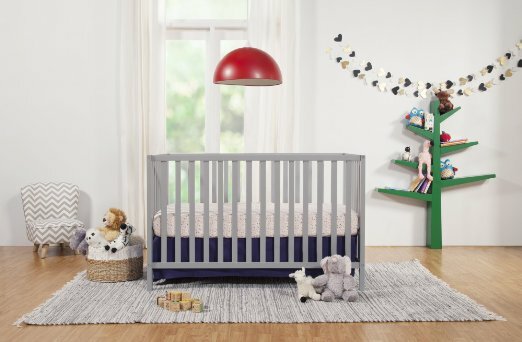 If safety issues are a concern, you can be assured that the Pro is BPA, lead and phthalate free, and the water reservoir is made from stainless steel. Good news, this product also includes a recipe booklet, mixing lid and spatula!